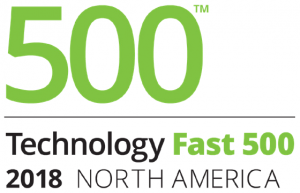 SAN JOSE, CALIF. – November 15, 2018 – Pluribus Networks today announced it ranked number 58 on Deloitte’s Technology Fast 500™, a ranking of the 500 fastest growing technology, media, telecommunications, life sciences, and energy tech companies in North America. “The benefits of open networking and next generation software defined networking are being realized by customers across the globe and the market is now at an inflection point. This recognition from Deloitte demonstrates that Pluribus Networks is growing faster than the market and that our unique solutions are helping customers deploy open, programmable and cost-effective networks to support the digital transformation of their businesses,” said Kumar Srikantan, Pluribus Networks president and chief executive officer.